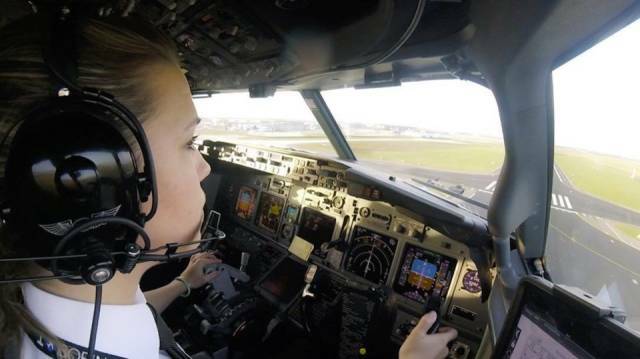 Meet Eva Claire Marseille (@flywitheva). 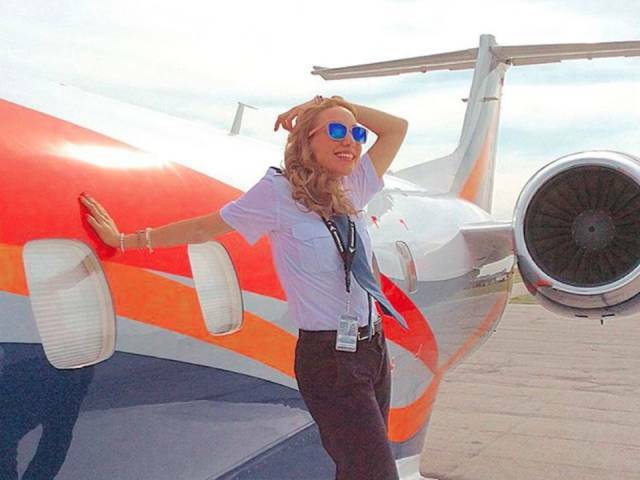 The 31-year-old currently has over 33.7k Instagram followers. 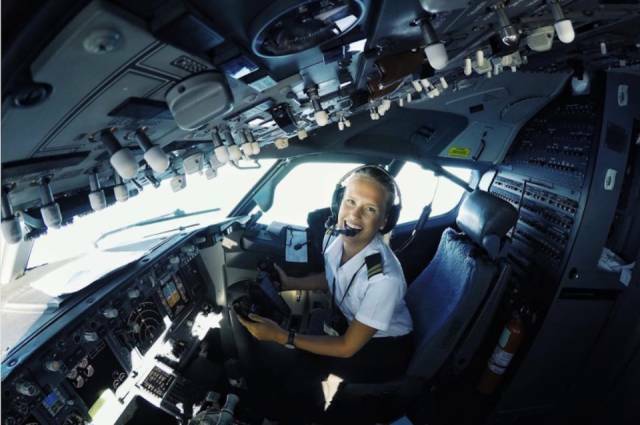 The Dutch pilot flies Boeing 737 jets. 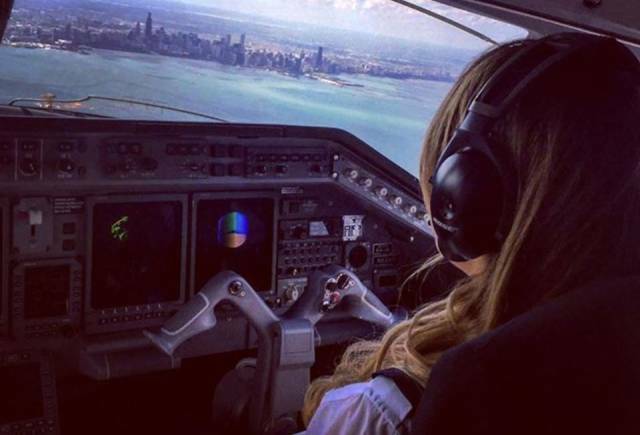 She posts motivational quotes that she has followed in her own career to inspire others, like this one: "The distance between dreams and reality is called discipline." 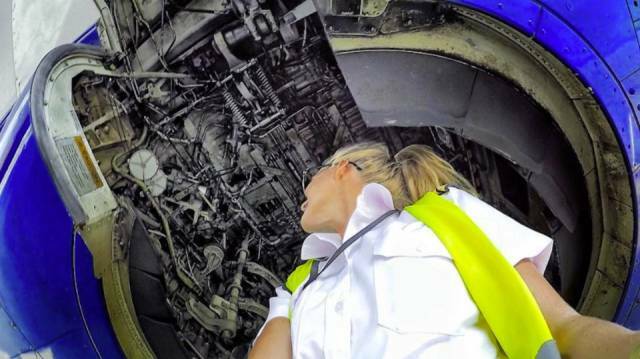 As well as having a dedicated work ethic, Eva gets to travel a lot. 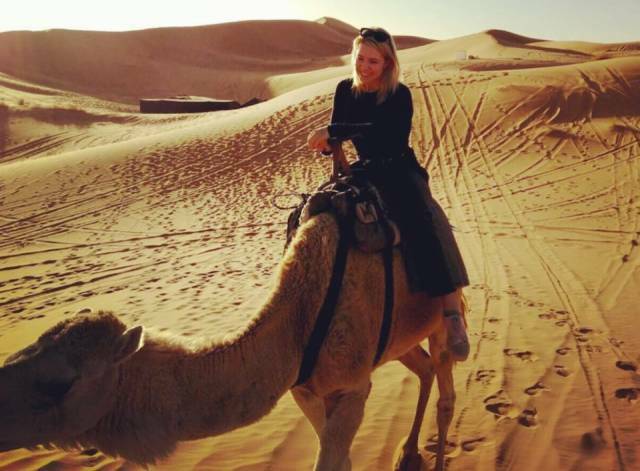 Here she is in Morocco. 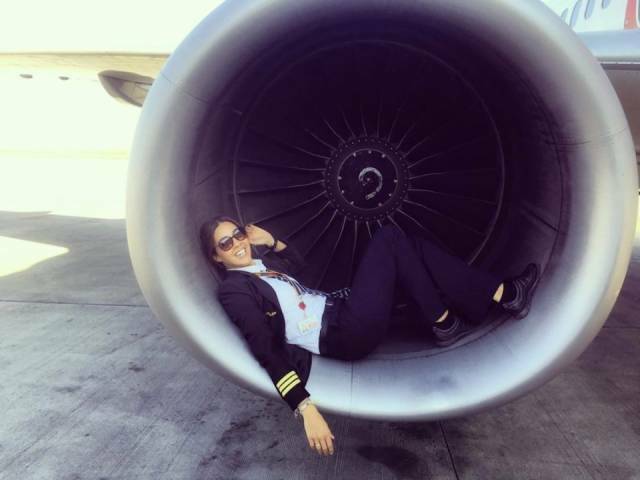 Another keen traveler is Eser Aksan Erdogan (@echosierra85), 31, a pilot for the Turkish airline Pegasus Airlines. 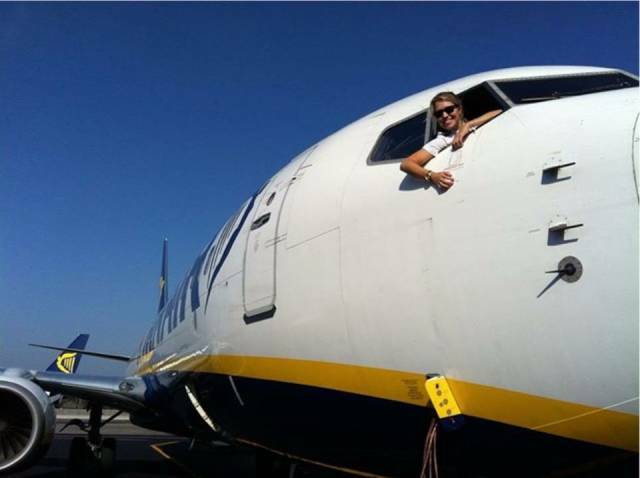 Born in Holland and based in Istanbul, Eser flies Boeing 737s. As is her location. 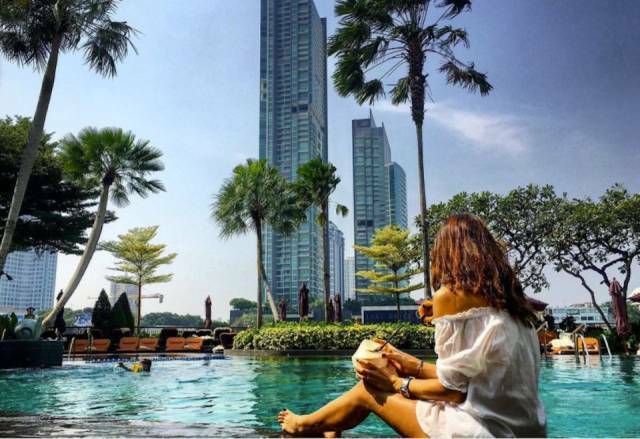 She travels all over the world, taking amazing photos that have gained her over 61.3k followers. Like Eser, Lindy Kats (@pilot_lindy) was born in the Netherlands. She's now based in Italy. 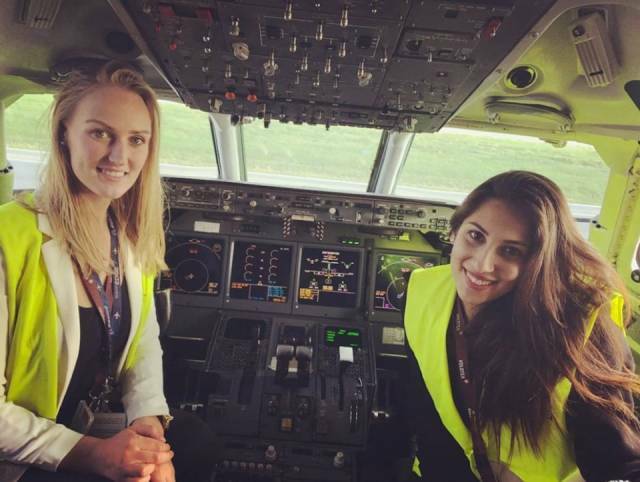 The 23-year-old flies Boeing 717 planes. 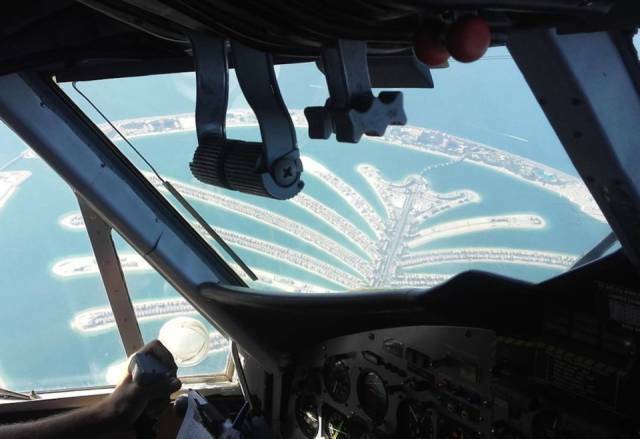 She often posts photos of the view from the cockpit, like this one over Dubai. 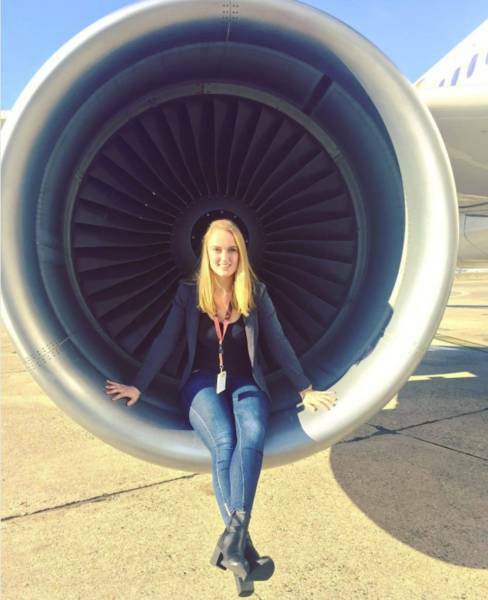 With over 43k followers on Instagram, Lindy is inspiring other young women to enter the aviation industry. 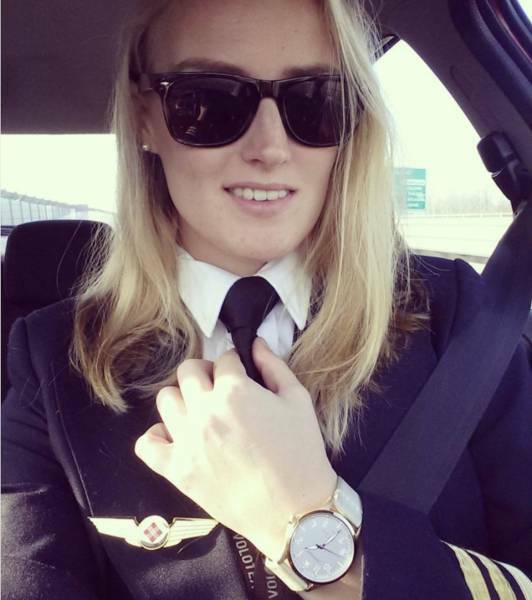 Swedish-born Maria Fagerström (@mariathepilot), 24, is another young pilot making waves in the industry. 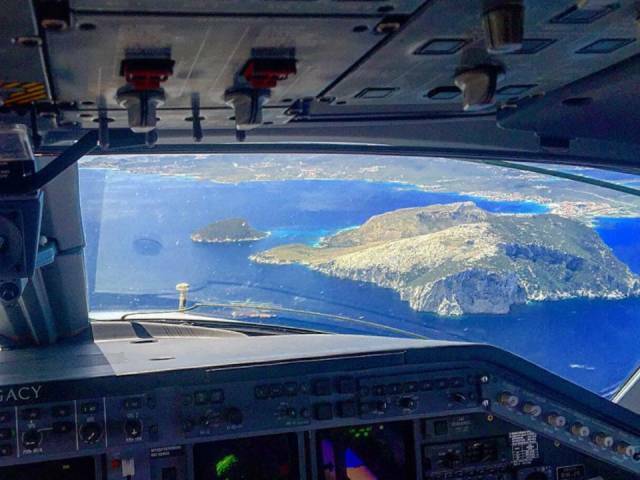 The Canary Islands-based pilot knows the ins and outs of a Boeing 737. Literally. 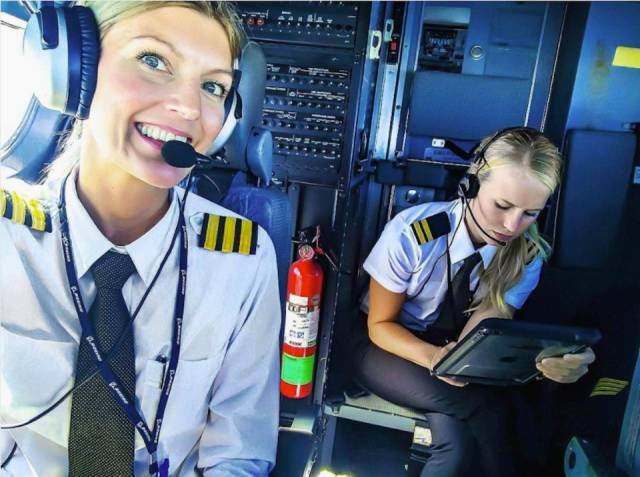 And she teams up with other women in the field — like Maria Pettersson (yes, another Maria), who is also becoming Instagram-famous as @pilotmaria. And practicing yoga on the beach. 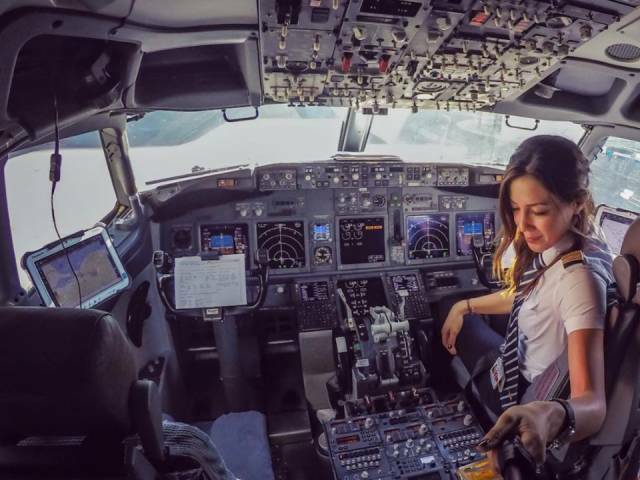 Also killing it on Instagram is pilot Alejandra Manríquez (@babywingz_pilot). 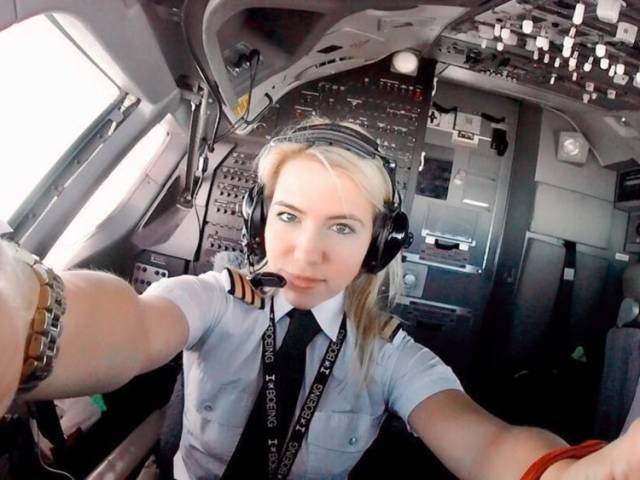 The Mexican pilot has amassed over 72.2k followers with her photos in the cockpit. 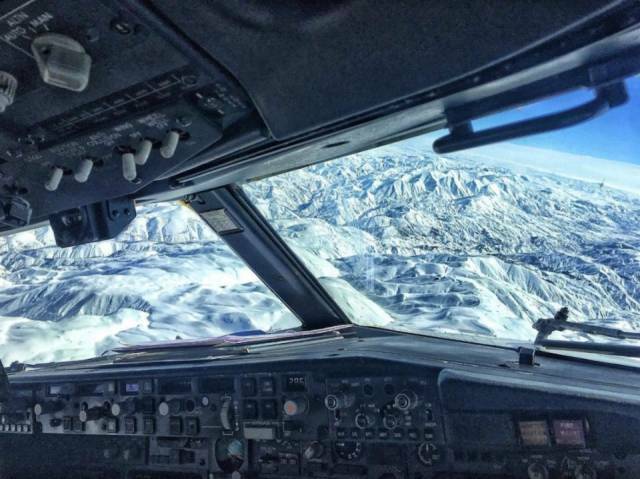 She has the best window-seat on the plane. 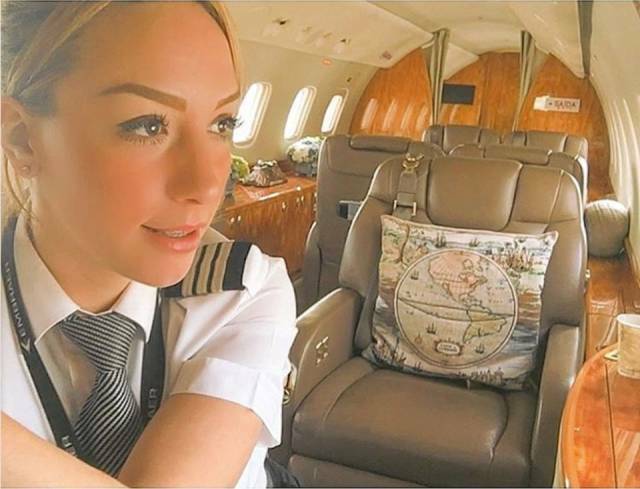 When she's not in the cockpit, Alejandra kicks back in the classy cabins of the private jets she flies. It's just one perk of the job.